"It seems eminently proper that we should accept endowments for the purpose of doing good in the world." Klumph's remarks at the Rotary Convention in Atlanta, Georgia, USA, plant the seed for today's Foundation. The Rotary Club of Kansas City, Missouri, USA, makes the first donation, of $26.50. Watch a silent video of the 1917 convention in Atlanta, Georgia, USA, including footage of Klumph and other early Rotary leaders. At the 1928 convention in Minneapolis, Minnesota, USA, the Foundation is named and a Board of Trustees is created. Before that, RI's Board of Directors had oversight of the funds. Why the International Society for Crippled Children? Rotary member Edgar F. Allen started the International Society for Crippled Children (Easter Seals) in 1919, after his work to build a hospital in his hometown of Elyria, Ohio, USA, had made him aware that children with disabilities were often hidden from public view. Other Rotary members were also working to help children with disabilities, and Rotary’s 1922 convention encouraged clubs to take similar action. Hence, Easter Seals seemed a logical choice for the Foundation's support. Edgar F. Allen with fellow Rotarian Paul Harris and others who helped form Easter Seals, circa 1922. Clubs organize institutes like this one in 1942 in Glasgow, Kentucky, USA, to inform community members about global issues of the day. When Rotary founder Paul Harris dies, Rotary sends members a telegram telling them of his desire that, in lieu of flowers, they make contributions to the Foundation. The Foundation's first ongoing program promoted international understanding by supporting graduate studies in other countries. The program was known by many names, including Ambassadorial Scholars. Listen to early scholarship recipients from Norway, Australia, and the United States talk about the significance of their scholarships in this 1950 radio interview. The Foundation’s first form of donor recognition expresses appreciation for eligible contributions of $1,000. Later, additional recognition levels are created. Donors may also name another person as a Paul Harris Fellow by donating in his or her honor. In 2006, the number of Paul Harris Fellows reaches 1 million. An early Paul Harris Fellow medallion. Carl Miller, 1963-64 RI president, believes that pairing clubs and districts in different countries promoted international understanding. He and his wife later make a $1 million gift in support of international service projects. In the 1990s, Carl P. Miller Discovery Grants enable Rotary members to travel abroad to plan such projects. The grants are phased out in 2003-04. For the first time, the Foundation has a regular program to fund club and district projects. Listen to Carlos Canseco, 1984-85 RI president, describe the value of the Matching Grants program in a 1994 interview. In Guatemala, Matching Grants suport a facility that houses, feeds, and educates abused and abandoned girls under the age of 18. The grants also outfit the facility's kitchen and bathrooms. What is the 3-H program? The program is developed to improve health, alleviate hunger, and enhance human and social development. Rotary members use the grants to create access to clean drinking water, support literacy programs, provide medical care, and more — setting the stage for today’s global grants. In Bangladesh, Rotary members use a 3-H grant to provide homes to low-income families in 1998. Listen to Clem Renouf, 1978-79 RI president, announce the 3-H program at the 1978 convention. Rotary approves the first 3-H grant project after receiving a request to purchase polio vaccine for children in the Philippines. At about the same time, Rotary President Clem Renouf, inspired by the worldwide eradication of smallpox, reaches out to Rotary member and microbiologist John Sever at the U.S. National Institutes of Health, asking whether he thinks Rotary could target another disease. Sever recommends polio, and suggests that Renouf enlist the support of Dr. Albert Sabin, developer of the oral polio vaccine. Both experts play an essential role in building the polio eradication program. Watch this silent video to see 1979-80 RI President James L. Bomar Jr. meet with officials of the Philippine Ministry of Health and administer the oral polio vaccine to a young girl. Listen to 1979-80 RI President James L. Bomar recall his experiences in the Philippines. Agreement between Rotary International and the Philippine Ministry of Health, 29 September 1979. With this project, Rotary begins what will become one of its best-known and proudest efforts — working to eliminate this devastating disease from the earth. Albert Sabin, developer of the oral polio vaccine, continues to play a pivotal role in advancing Rotary's commitment to eradication and getting other partners on board. Listen to Dr. Albert Sabin, developer of the oral polio vaccine, emphasize the importance of mass immunizations in a speech at a Rotary convention. Trustees decide to create an Endowment Fund specifically for investing certain contributions in perpetuity, with the earnings going to support the Foundation's future ability to do good. Trustees create The Rotary Foundation Endowment for World Understanding and Peace, which later becomes the Endowment Fund. Listen to James Grant of UNICEF get the 1984 Rotary Convention fired up about polio eradication. What's the plus in PolioPlus? The “plus” initially refers to the additional vaccines administered along with the polio vaccine. Today, it also reflects the fact that the infrastructure, fundraising, and advocacy methods developed for the polio eradication campaign also support efforts to fight other infectious diseases. GPEI, originally composed of Rotary, the World Health Organization, the U.S. Centers for Disease Control and Prevention, and UNICEF, is created to coordinate polio eradication work. Over the years, others join the effort, including the Bill & Melinda Gates Foundation and governments throughout the world. Convention goers in Philadelphia learn that Rotary has greatly exceeded the $120 million fundraising goal for polio eradication. Spurred by Rotary’s success, the World Health Assembly launches the Global Polio Eradication Initiative (GPEI). In an early foray into international peace events, the Foundation organizes a series of peace forums in a three-year pilot. The first three are held in Evanston, Illinois, USA; San José, Costa Rica; and Nice, France. Charles Keller, 1987-88 RI president, reminds Rotarians of the crucial role they can play in fostering world peace at the Costa Rica Peace Forum, April 1988. The program provides funding for banners, brochures, T-shirts, caps, and other National Immunization Days promotional materials, as well as coolers essential for keeping the vaccine cold. Children gather in the street during a polio immunization campaign in Rani Kothi, outside Lucknow, in Uttar Pradesh, India. Rotary Peace Fellows talk about what peace means to them, 2015. What are the Rotary Peace Centers? The Rotary Peace Centers program develops leaders who become catalysts for peace and conflict prevention and resolution in their communities and around the globe. Each year, up to 100 Rotary Peace Fellows are chosen to participate in a master’s degree or certificate program at one of our centers at universities around the world. Members of the inaugural class of Rotary Peace Fellows begin studies in the fall of 2002. The initiative encourages every Rotary member to give every year to the Foundation, with the goal of $100 in per capita contributions to the Annual Fund. After 10 years of the initiative, Annual Fund total contributions reach $116 million. In this interview from 2011, Bill Gates discusses the significance of Rotary's commitment to end polio. What is the challenge grant? The grant challenges Rotary to raise $100 million, which the Bill & Melinda Gates Foundation will match. Two years later, the Gates Foundation pledges an additional $255 million and increases the amount Rotary must raise to $200 million. 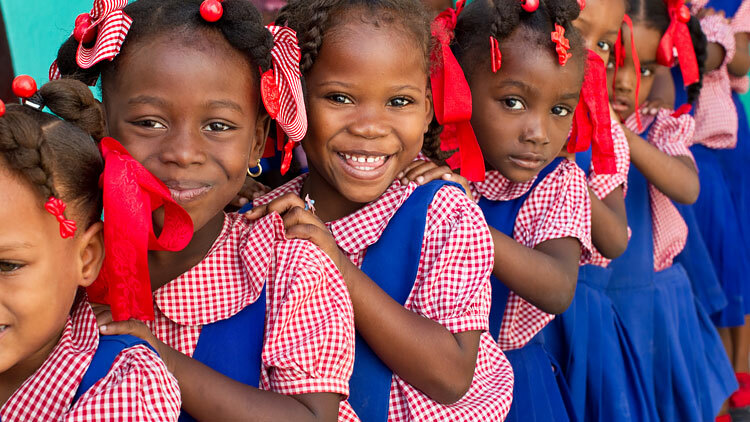 Rotary's partnership with the Gates Foundation helps both organizations improve lives around the world. Women pump water in East Akim, in Ghana. Through their collaboration, Rotary and USAID improve drinking water, sanitation, and hygiene in three countries, and later expand to a fourth. The model introduces two new grant types, global and district, and phases out 3-H, Matching, and District Simplified grants; Ambassadorial Scholarships; and the Group Study Exchange program. Global grants enable Rotary members to plan larger, sustainable projects by meeting with community leaders to assess needs and to create a plan for ongoing management. A global grant supports schools like this one, Rancho Alegre, in the Sumpango area of Guatemala. Through decades of commitment and ceaseless work by Rotary and our partners, polio cases worldwide are down 99.9 percent since GPEI was launched in 1988. The celebration starts at the Rotary Convention in Korea. Make plans to share Rotary's achievements with your community. Help us kick off the Foundation's next 100 years. If our timeline has whetted your appetite for learning about the Foundation, pick up a copy of David Forward’s book, “Doing Good in the World: The Inspiring Story of The Rotary Foundation’s First 100 Years.” It’s a fascinating account of this century-long journey and the people who made it happen. Buy it now on shop.rotary.org.